So I finished some dramas and the first one I want to talk about is Meloholic which is an older drama since it aired in November/December but I just didn’t have time for it then. It is a shorter drama from OCN and it ran for 10 episodes. I wasn’t sure if I really wanted to check this one out because I tend to not like shorter dramas but I thought it could be a lighthearted drama but then I forgot it was an OCN drama. They tend not to have light-hearted dramas but this is one of the lighter ones that I have seen although they of course you can’t forget the murder, I don’t think they could do a drama without murder. It is based on a webtoon so I thought it would be an interesting drama to check out. It stars U-Know Yunho which I am sorry but is a silly name to choose and he is of course from TVXQ(DBSK). It also stars Kyung Soo-Jin who I haven’t watched before. So the story is that Yunho was in an accident and he develops the ability to read minds. He one day meets Han Ye-Ri and he reads her mind and discovers that she has another personality. He is able to use his unique skill to help her and unravel a mystery that surrounds the both of them. This drama has an interesting plot in theory about the split personality and the psychology around the ability to mind read. I did enjoy the acting of Kyung Soo-Jin and the ability to become a different person with just her acting. I mean I think this drama could be compared to Kill Me, Heal Me because of the split personalities and not be able to win against the acting in that one. But I think her acting was still strong with changing the personalities. I have to say some episodes really drew me in with the mystery and plot twists. The story is pretty solid and by the end I was on the edge of my seat trying to figure it all out but I have to say the last episode felt like it had diverted from the rest of the story and felt like a plot device and didn’t care for since it was so rushed. I also thought the villain did a good job in portraying his role and I really thought he was crazy. I thought they did a good job of delving into past problem that Ye-Ri had and did an interesting way of showing it to Yunho. I did have some problems with this drama for some reason I didn’t care that much for Yunho’s acting I don’t know why but when he was trying to woo Ye-Ri it just felt kinda fake and like he was being too sweet. I don’t know this just might be my personal preference but I don’t really care for his acting. I feel like this drama was unrealistic with how to deal with a split personality I mean they are psychology majors and even their professor didn’t suggest that Ye-Ri go to counseling to deal with her split personality. To me that seems really bizarre like split personality would disrupt your life and would be something that you would have to work on to even like a semi normal life. I don’t think this drama did any favours to Korean society by basically saying you need to fix your psychological problems on your own or meet the right person that will be able to fix you. I thought it was an okay drama I wasn’t especially excited about it or upset about it either.It is nice if you just need a short drama to tide you over until the one you are waiting for is airing. The next drama that I finished was Dr. Storks/Kounodori 2 which is a Japanese Drama. I was so surprised that they had made a second season of this drama since the first season aired in 2015 and I had not heard that they were doing a second season. The drama is set two years after the first season which is what happened in real life. The story is about Sakura Konotori who is a obstetrician that is also secretly a famous piano player. The story follows him and the other doctors and midwives that work at the hospital. This time the story focuses on the growth of the doctors and the struggles of the ordinary person getting pregnant, staying pregnant, having babies, and caring for babies basically all issues around pregnancy. I really like this drama I feel like I even learn when I watch it and find it an interesting and unique topic that is not often highlighted in a drama. I really like all the characters and how they are learning and growing. I find myself finding something to be tearing about in every episode either because of the sadness or warmheartedness of the drama. I think it an inspiring drama and the way they cheer others and each other on that I just feel happy. It is a more serious drama and it more focused on the individual cases that come in every episode or so. Some things that I wished I could change was that there was a real lack of love lines in this drama which I get they are more focused on working together but I really want to so see Sakura Konotori have some personal growth in the romantic lines it wouldn’t have to be much I just want him to be to have some happiness and maybe some of them could have their own babies and enjoy it as much as the people that they see everyday with babies. I also didn’t care for an episode where a couple gets an abortion, but again that is just how I personally feel and it made me feel really sad. I really hope that this drama will get a third season but from the feeling of it ending it seemed like it really was the ending which is sad but I recommend this drama if you like medical dramas that are heart warming! Jugglers was another drama that finished in January which about Yoon-Yi (Baek Jin-Hee) who is a secretary and a very good one that that. She becomes a scandal and her job is taken away from her and is put on a waiting list realizing that the company is trying to get rid of her. Chi-Won (Daniel Choi) who gets a new job as managing director in the video business department at YB Ad department. He is need of a secretary even though he doesn’t realize it and Yoon-Yi becomes the women for the job and they learn how to work together. So this drama is really more of a cute and silly drama that is supposed to be light-hearted. I have to say that I have never watched a secretary and boss love story. I feel like I should have but I don’t know any other ones, maybe I have avoided them or it just feels cliche so they haven’t aired dramas like that for a while. I found it was sweet and interesting most of the time and I really like their characters and how different they are from each other and yet they make it work together. It is interesting because they do with the idea of divorce which I think is not often addressed in a drama. I also liked the dynamic of Lee Won-Geun (Hwangbo Yool) and Kang Hye-Jung (Wang Jung-Ae) as secretary and boss in this drama which I found to be cute. This drama has a lot of interesting characters and I never found myself bored watching it. I really like that it kept with the silliness even thought there are more than a few serious moments but it didn’t take away from the lightheartedness of the drama. I thought it was really cute and the acting was well done! I do have some issues with this drama though, I really don’t like how they brushed off Chi-Won’s mental distress and that his fears would just go away with Yoon-Yi around him which is not accurate of people’s traumas that they face in their lives and that is was just the easiest fix. I think it sends a bad message to people that are struggling with their fears that again all they need to do is find the right person and all your traumas will just go away on their own. I just feel like that is false idea that can affect people’s perception of their own problems. I also feel like this drama makes women seem like there only role can be is serving men and that they need to be a certain age and have a certain look to be important. It would have been more ideal if Yoon-Yi would have moved up in the company and been able to get a job that allowed her to use her skills that she has learned and work as a peer instead of a secretary. Overall it is a cute drama that is more light-hearted but it doesn’t go to deep and stays on the surface of love. The next drama that I watched was Just Between Lovers which stars Lee Gang Doo (Lee Joon-Ho) from 2pm who was in a accident of a mall collapsing and lives with the mental and physical pain of the accident as an adult and is just trying to get by on his own strength. It also stars Ha Moon-So (Won Jin-A) who has also survived the same accident and makes architecture models she suffers the guilt from surviving the accident and her younger sister didn’t she lives suppressing the accident and things start to change when she meets Lee Gang Doo and she starts opening herself up to him. They both start working for the company that is going to rebuild on the land and they both get caught up with other characters that were affected by the collapse of the mall. So this drama is very emotional I think I probably cried in most of the episodes it is just so heartbreaking dealing with the aftermath of such a tragic event that changes everyone’s life. I found it a really realistic portrayal of how people deal with grief and that is not always a pretty picture. I could find myself within these characters and it really spoke to me. I really like Won Jin-A I have not watched her before but I found her to be a character that was more relatable. She wasn’t the typical heroine who had the bright personality that can fix all problems either relationally or emotionally. She is just a person and not a over the top kind of girl which I found refreshing in a lead. I thought Lee Joon-Ho did amazing in this drama as I don’t think he was done too much acting and really found him to be a realistic character. I appreciate a drama that was made that dealt with this type of subject matter because not many want to deal with the idea of grief and what it means to live on in midst of a disaster in such an honest way. The ending was almost too much to handle but I am satisfied with how everything turned out. There were some issues that I found was that it didn’t feel quite complete because we never get to see the remembrance garden that they spend most of their time working on in this drama that I think would have tied the ending together for me. I also found it hard to be convinced that Sang-Man was socially or mentally disabled, he seemed like he understood everything. I am not sure what was supposed to be wrong with him but he seemed almost normal to me. I also didn’t really like Seo Joo-Won character story line in this drama I feel like they were going strong with his story and then in the middle they just kinda dropped him and it just felt unfinished and even his connection to Moon-So felt somewhat weak and not that believable that he liked her. Also they drama plays on your heart strings and I think at times it felt really depressing but I still felt like it was a worthwhile story being told. I really thought this drama was underrated and I felt like it was an important story that was being told and at times it wasn’t always comfortable but that it had a lot of realistic moments and will have some honest truths about dealing with grief. There were some loose ends at the end of the drama but nothing that really took away from the story. The fifth drama that I finished was “I’m not a robot” which stars Min-Kyu (Yoo Seung-Ho) who is the largest shareholder of a finance company but is unable to be around any people because he has a human allergy. His life becomes in danger if he comes into contact with any person. It also stars Ji-A (Chae Soo-Bin) who works as a personal shopper and is an aspiring inventor and her life becomes involved with Min-Kyu’s because Ji-A’s ex-boyfriend invented a robot that he shaped after her and after an accident he needs Ji-A to pretend to be his robot for a short time so he doesn’t lose his investment money. I first thought this is not going to be a very good drama because I had just finished watching Borg Mom which is about a robot and I did not enjoy it very much and thought it was going to be similarly cheesy. I was pleasantly surprised and found that it was much better than I thought it was going to be. The characters were well developed and the actors were pretty good and I starting becoming attached to all of them. I think it was an interesting story because Ji-A had to pretend to be a robot and all the things that could go wrong were pretty fun. Min-Kyu is such a loveable character because he is so pure and unaware that it was hard not to smile while watching this drama. I thought it did a good job finishing the drama as well since there have been dramas this year that do not know how to finish the story. The one thing that bothered me about this drama was the way Min-Kyu treated Ji-A after he found out that she wasn’t a robot. I don’t think I would be able to withstand the way he treated her even though it is true she did something wrong I found it a bit harsh. I just think is this how he is going to act every time he gets angry and I would feel uneasy. Also the robot was not terribly realistic since not much changed when she pretended to be the robot vs Aji 3. Overall this was a pretty good drama and I was impressed with it more than I thought and I am happy that I watched this drama. The last thing I want to talk about is a korean variety show called “Hyori’s Bed and Breakfast/ Hyori’s Homestay”. I just finished watching the first season and this might be old news to everyone but it aired in summertime but I am a little behind and finally finished the first season. Just as I winding down this month I found out that they are filming the second season and will probably be airing pretty soon which has made me very happy. So this variety show is about Lee Hyori who started out in a girl group Fin.K.L but has been a solo artist for a while now. I watched her previously in Family Outing which is one the most hilarious variety shows to ever be aired! I loved her in that, her personality is just so great so I knew I had to watch her in this show. She is married to a a guitarist Lee Sang-Soon, which I don’t really too much about but they live in Jeju Island and they opened their house up to guests and turned it into a bed and breakfast. I thought it was crazy because their house doesn’t seem to be that terribly suited to having guests since it has one master bedroom and I was like okay they are just having one set of guests but it was crazy and had multiple groups staying at their house. It really made me think differently about life and how they just opened there home and life up to the world. There house just seems to be full of love and especially because they have a good variety of cats and dogs it just makes me want to smile. It is such a positive show as you watch Hyori interact with her guests and she tries to help them as they seem so willing to open up to her as she tries to teach them about yoga. I also realized how Hyori has such a wonderful husband that loves her so much that I really found it to be inspiring. Also IU comes and joins the cast as she becomes their worker that helps clean and cook for the guests. I always thought IU was cute but this candid show of IU made me think she is so adorable with her funny fashion sense and how Hyori teases her. Not much happens in the show and yet it feels so rich and full of inner hidden gems. I am excited for the next season where Yoona joins them as the worker and I am sure that will be filled with lovely moments again. 2. Mother: This is about a girl who is abused and her temporary teacher finds out about the abuse and decides to become the girls mother. 3.Eulachacha Waikiki/Laughter in Waikiki: This is about 3 men who run a guest house in Itaewon and are facing bankruptcy and then a new guest with a baby appear. 4. Cross: Which is about a man who becomes a doctor in order to avenge his father who was brutally murdered 15 years ago and so he volunteers at a prison medical office to get at the murderer. So I finally finished Bromance a Taiwanese Drama that only got aired once a week so it takes a lot longer to finish as a drama. I was pleasantly surprised with this drama because for one thing I usually find that they are far too long and things get dragged out, which did happen a bit but not to the extent with some other dramas. I was really shocked at the chemistry in this drama and there are a few steamy scenes that caught me really off guard because it was so unexpected. I thought that it was actually really well done and the storyline pretty much made sense except for the whole part of her dressing like a man because a quack fortune teller told them to do so! At times I really thought Pi Yanou could have been a man with the way she looked and at other times it wasn’t super believable but overall they did a good job with the gender bender theme! I think this was a really enjoyable drama that has a lot of fun in it, although I wished she changed back into a girl a lot earlier in the drama. I also finished My Little Lover which is a Japanese Drama and had a hard time with finding subs for this drama. Thankfully Viki did sub it and so if you want to watch it, that is a good place. Well this drama was not the best, I really didn’t think it would be as it seemed a bit gimmicky. A girl turning into the one inch princess. It wasn’t terrible but I had a hard time getting myself to finish the series. Again I wish she would have gone back to normal earlier in the drama and found it got a bit repetitive of the problems she faced while being small. I just thought it would be an interesting drama but I found myself feeling disappointed with this drama. The third drama I finished was Remember. This was a crazy drama and it did have some problems as the number of episodes kept changing. Boy this is a roller coaster of a drama, I never knew that I could feel so depressed and on edge after watching some episodes in this drama. Honestly this drama had so many problems with the storyline especially his dad with Alzheimer’s being sent to jail and the problems with the lack of evidence and everything. Despite that it was a fun drama to watch and the drama and intrigue was interesting. Also I don’t love Lawyer dramas but I have to say for the first time I think I learned something about court. I didn’t connect that great with the main loveline and didn’t really have a whole lot of interest in them and didn’t feel like I connected with their emotions. I seriously loved Park Dong-Ho the most, I loved his accent in this drama and he just so charismatic in this drama. Also another great reason to watch this drama is to check out Nam Goong Min acting in this drama, I loved watching him in We Got Married and he is seriously a crazy good actor in this drama. I didn’t think I would even enjoy this drama that much and it turns out I was wrong. It not the best lawyer drama out there but it sure is interesting! I just finished Cheese In The Trap. Honestly I had such high hopes for this drama since I have been following the Webcomic for a while and was actually really surprised they were going to make a drama of it. I was worried about the ending since I knew the webcomic hasn’t been finished. Seriously though why do they pick up comics and manga as a show and the story isn’t even completed, like it is the worst idea. So the ending will disappoint you, no matter how you look at it. You become so invested in every decision that the characters make and the ending just feels like they wrote it off and it feels like a mess. It would be different if they would continue to do another series of it when the comic would finish the story but we will never get to see anymore and that is why it is so frustrating. I mean always having all endings wrapped up may seem cliche and not realistic or edgy or something but I still find it really disappointing. I think this drama needed more episodes and it just felt so wrong! At least we still have the webcomic that is continuing to make up for it! I also just finished Moorim School. Now they at least gave us an ending that wouldn’t leave us feeling so unsatisfied. This drama really wasn’t that great but I think what saved this drama was the good looking boys, and it had Hong-Bin from Vixx, so fans probably supported it. This drama too was supposed to have more episodes but it got shortened. I found the storyline to be somewhat redundant and silly at times. Frankly this drama had way too many flashbacks and a lot of cliche moments. I didn’t hate it but I wasn’t that good at all. It was a bit strange with the secret powers and chintamani key or something. It was not well written at all but if you don’t mind things like that you might enjoy it. The dramas that I am checking out next are Goodbye Mr. Black which is supposed to be about a man who is in the Navy and goes through some friend’s betrayal and is supposed to be a bit like the count of monte cristo which is a movie that I love! and He has to go into a fake marriage to hide his identity. Sounds like it could be a great drama if it is done properly!! Here’s hoping! The second drama I am going to check out is Jackpot starring Jang Keun-Suk so I pretty much have to watch it now! This is of course a period drama which genre I don’t think I have watched before! So the story is that he is a gambler and a prince and is forced to live as a commoner so he wants to take revenge of the King by using his gambling skills. I hope that it will be interesting enough to watch 24 episodes worth of!!! The third drama I will be watching is Refresh Man which of course stars Aaron Yan who has been the star in so many of the Taiwanese Dramas that I have watched. I hope I will not find it redundant because I have watched so much of him but I sure hope it will be good. The storyline is that Aaron has a childhood friend Yu Tang who competed with him in school and always did better than him. When grows up the tables are turned and he becomes a CEO and she becomes his secretary. Then tension between the two of them sounds pretty exciting! I hope this will be a fun drama!! I finished She Was Pretty and I have to say it was an awesome drama! It was my favorite one this fall. It has twists and turns and I have to say was pretty fulfilling. I would really suggest if you watch any drama this fall or winter to watch She Was Pretty! It was so much fun and I have to say that Si Won really surprised me with his acting skills! It is worth it just to watch him act! I also finished Sassy Go Go or Cheer Up. I liked this drama as well even though it was pretty much a typical high school drama but I was okay with that. I am a little tired of Eun Ji playing those type of roles I would like to see her doing other things. All I can say is I really hope that students don’t have to be living like that and dealing with those things in high school! I am currently watching Because It’s The First Time. It is about a group of friends that live in the same neighborhood and are at college age. Tae-Oh as Min Ho is the lead and is in love with his childhood friend Song-Yi and he doesn’t want to believe it and so is pushing his feelings down. It is a bright drama with interesting characters and it is only on once a week and is shorter than other dramas. I enjoy the interactions between the characters and have been pleasantly surprised by this drama. I think it may have a more realistic bent on relationships and hardships of being a twenty year old. 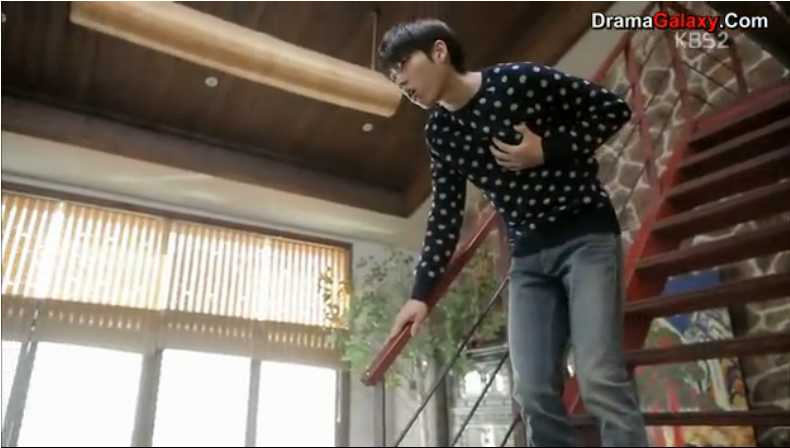 The second drama I am watching is Bubblegum with Dong-Wook as the lead Ri-Hwan. I have to say I wanted to watch this drama because of him since I loved him a lot in Roommates. It is about Ri-Hwan who is an eastern doctor and his childhood friend Haeng-Ah who grew up with him like a sister because her parents died. It is a struggle to discover their true feelings with others getting in the way. This drama is a bit slower but hopefully it will pick up. I find Dong-Wook’s character not as lovable as I would like but it’s okay. I don’t think this will be the most exciting story and may be a bit more typical but I think it will still be enjoyable. The third drama I picked up is Reply 1988, I have only watched one episode so far, so I am still unsure if I will like this drama. The drama is about five families that live on the same street. The focus seems to be on the Seoul Olympics this year and a bit of a tribute to that year. It seems like this will be an interesting drama because there is a lot of people that the storyline can focus on. It seems like the main focus will be on the kids from the families but there is still a lot of focus on the parents too. Maybe it would strike more a chord if you grew up in the 80’s and also have been from Korea. I will keep sticking with this drama because it seems like it will be heartwarming. The fourth drama I am watching is a Taiwanese Drama called Bromance. The storyline is about Pi Ya Nuo who when she was born was told her fortune and that since she was born a girl she would not survive childhood unless she would live a as a boy for the next 25 years. So now that she is going to be 26 she has to decide whether she will continue as a boy or change to a girl. She also saves Zi Feng who is a powerful man and becomes his sworn brother which complicates her life. So this a typical girl dressed up a boy drama to some extent. I have to say all that craziness is still fun no matter how many times it has been done. Again since it is a Taiwanese drama there is some overacting that is involved. I hope it will not be dragged out too long as I find some of their dramas have the tendency to do so. I am pleasantly surprised by this drama and Ya Nuo actually seems pretty convincing as a boy compared to other girls. It is a fun drama and I am enjoying the fun of it. I am also checking out a Japanese Drama My Little Lover. Again I have only watched the first episode but it looks like an amusing drama. It is about Horikiri a girl who has a childhood friend who is her neighbor Minami. They are in high school and have grown apart and one day when she is upset about this she wishes she could go back to when they were friends. Instead she becomes 15 cm tall and is found by Minami. It looks like a fun drama but it seems a bit cheesy and unrealistic but that is what makes it a charming drama. I feel like Jdramas don’t get as much love so I hope everyone can check this drama out! I felt like watching an older drama and so I chose Hotaru no Hikari which is a Japanese drama from 2007. It is based off of a manga of the same title. The plot of the story is a woman Hotaru is a professional businesswoman at work but when she goes home she is a slob. Her boss comes to live with her and discovers the dishelved messy side of her and tries to help her. I found this drama to be pretty funny and interesting. I could really relate to Hotaru with just wanting to laze around and have a messy house!! I found this drama to be fun and lighthearted. I didn’t mind the actor playing Hotaru but I found her love interest to not have that much chemistry and found some things to be a little far-fetched. This series also has a second season called Hotaru Hikari 2 which I found to be not as interesting and would not recommend watching this series if you are not a diehard fan of the first series. I did have to watch it because I needed to see what happened with the characters and so therefore I am still happy that I did watch it! I became frustrated with the whole plot it was kinda weird with Hotaru being away from him for 3 years and so they are awkward with each other for so long. I felt that I was waiting so long for them to even just share a kiss! The second series just seemed to be drawn out and it was more boring. The age difference seems like a big hurdle for them because she seems immature for her age and he seems more mature for his age! All in all I would recommend the first season for something fun to watch, but I would just skip the second season if you do not fall in love with the characters. I finished watching Itazura na Kiss Love in Tokyo a Japanese Drama, which is based on the manga. It has been made into a Korean drama in 2010 called Mischievous Kiss/Playful Kiss/Naughty Kiss and also a Taiwanese drama called It Started With a Kiss. I did watch the Korean version when it came out so it has been a while since I watched it and could not remember the details that well to compare. I think that I enjoyed the Korean drama more and not just because I watched it first but I enjoyed how far into the plot they went with the story line as the Love in Tokyo did not go as far into the future. I have not read the manga so I am not sure which one kept to the real plot better. I think this is a drama that I love to hate and I felt the same way when I watched the Korean version. The main girl is so needy and she always puts up with the guy who treats her horribly. I had so many instances when I am yelling at her to act differently and to push him back as much as he pushes her. She just takes too much crap and sometimes I just get so irritated with how she acts. At the same time I still need to keep watching and I guess I am just waiting for the point when she melts his heart and his actions become different. In Love in Tokyo I liked the main girl Kotoko most of the time but I found it weird that in almost every episode she never had her hair cover her ears. Not that I really care about it but to me it just seemed like she had larger ears and I would think you would want to hide it? maybe it was just me? I found that she overacted in this drama and a lot of her scenes were overacted. There were actually a lot of characters in this drama that were also overacters such as the mom, little brother sometimes, and Kin-chan. I found that a little offputting and hard to take serious but maybe that is okay then it was more of a lighter drama than a really serious one. I liked Naoki as the main lead. He did a very good job at being cold and mean but I did not think there was enough balance because he was never nice. Even when he was supposed to be having a moment with Kotoko there was little warmth from him so it seems very farfetched that he even wants to have anything to do with Kotoko, even at the end. I think I started to dislike him towards the end because I feel like there was not enough growth within him to even be with Kotoko. I mean the ending is disappointing because it feels like we don’t get to see what we were waiting for the two of them just being together like a real couple. I guess I just expected more out of this drama. I have to say, I really liked Kin-chan in this version or the other love interest. I did not the other guy in the Korean version very much but Kin-chan was not bad as a character. I wished I could have seen Naoki and Kin-chan fight a little bit more rather than Kin-chan doing all the yelling and Naoki never saying anything. I enjoyed this drama most of the time but found the ending unfulfilling! I am not sure if they are making a second season or not but if there is a continuation that maybe there is a chance to be fulfilled from that. If you have already watched a version of this drama not why not watch another one! I always love to see my favorite characters reborn in different dramas! If you have never watched it you may enjoy it but I am sure you will become frustrated at some point, but that is the risk you will have to take. The 13th episode picks up where the 12th episode ends. Remi is explaining that Haruka was there for her when no one else was. She flashbacks to where Remi is sitting with Haruka and Remi tells her that she has always hated herself, but now she hates herself so much she wants to die. Haruka tells her it is better to forget and Remi says she can’t, that she killed her own baby. Haruka says in that case it is better to pretend none of that ever happened and that she doesn’t know Kouji, that she never met him and they never met outside of school and that nothing has happened. She goes on saying that altering her memories is not going to hurt anyone and that it is going to be okay and to just forget it. She tells Remi to close her eyes and that when she opens them, her old life will be waiting for her. Haruka grabs Remi’s hand and holds it, Remi starts crying. Remi is at school and she walks past Haruka on her way to school. Remi runs up to Mizuho and the rest of her friends and they start talking to each other. Haruka walks behind them. Remi continues in the present crying and says that she had no idea how much she took advantage of Haruka and if she hadn’t had been there at that time, but she erased all traces of existence of her from her mind. She says she is the worst and when she heard about her death she pretended to be unaffected and attended the funeral unaffected. She says she really is the worst and the lowest. Mizuho is crying at this point and goes and gives Remi a hug and says sorry for always making her laugh against her will. Remi says she didn’t and that she shouldn’t cry. Remi says she has no right to cry with all the horrible things she has done and says sorry. Remi and Mizuho are sitting on a bench. Yanai is looking at the painting of Haruka. Maruo and Hikaru walk in and Maruo greets Hiro saying that it has been awhile. Hikaru says that to think that Mizuho found Hiro first and that she might be cut out to be a detective. Hikaru walks over to Hiro and gives him the envelope and tells him that it is Haruka’s last words. Hikaru says that when Haruka was hospitalized last spring, she called him and said she had something to ask of him. Hikaru flashbacks to the hospital with Haruka and she tells him that she is going to die soon and that she would like him to do something for her because she can trust him to deliver it because he is Hiro and Hiro is him. She says that he loves him and at the same time hates him, he detests him yet deep inside he yearns for him. She says it must be the same for him too and that he is part of him and that she believes in them both. She pulls out the and says she wants him to give it to Hiro because there are a lot of things he wants to tell Hiro but now that she knows she is going to die, there is only one thing I want to tell him. She holds out the letter and says please, Hikaru watches her and then takes the letter from her. In the present Hiro is opening the letter and Hikaru says that she said that there is only one thing she wanted to convey. Hiro opens the letter and it says Hiro, I love you so much. Hiro flashbacks to a time when she is sitting for him while he draws her. She thinks thank you for making me experience so much feelings, through all the joy and pain she was able to see a sparkling world from the dazzling landscape that sparkled in rainbow colors. Through the darkest despair, thank you I was happy Hiro and she loves him so much. Back to present Hiro starts crying. It is morning and Remi and Mizuho are outside and Remi tells her that she used to be in love with Kouji, in spite of everything that happened and those days she used to be in love with him so much. She says she wonder if she should go in search for him even though he ran away because he was too much of a coward to tell me he didn’t love me and that maybe they should talk about it properly an.d bring it to a close. Mizuho agrees and says that maybe there were circumstances surrounding Kouji that she knew nothing about. Remi says hardly likely and then asks her what she is going to do about Hikaru she looks away and doesn’t answer. Hiro and Maruo are in the house and Maruo tells him that he is not moving out to Yokosuka anytime soon and that he should come over anytime if he needs anything and next time he shouldn’t run away. Maruo walks away and Hiro looks at the painting of Haruka. Yanai walks over to Hikaru who is sitting outside and gives him a drink. Hikaru asks Yanai if he feels better now and that he guesses he had a lot of fun digging up someone’s secret. Yanai replies that Hikaru is detestable as ever. Hikaru continues and says good thing she turned out to be untarnished after all, Haruka. Yanai replies that she turned out to be stronger than he had imagined and that he is overwhelmed. Yanai asks what about him and if he really came all this way just to hand over Haruka’s letter to Hiro and if he is really that kind hearted. Mizuho walks over to them and Yanai gets up and leaves. Hikaru stands up. Hikaru is walking away and Mizuho runs after him asking why didn’t he answer his phone because she has been trying to call him for so long and tells him he is terrible. Hikaru says he lost his phone and she doesn’t believe him. She then says that he did nothing even after Haruka passed away and he pretended he didn’t know anything and then why now, all of a sudden, when it is too late and he replies he did it on a whim that all, just to pass time. He continues saying that since it concerned Hiro and he needed to contact Maruo anyways and that is why he met Kido to find out where Maruo lived and he finally able to reach him. He tells her that is all and asks her if she is satisfied and if he can go and she asks where will he go and he says its a secret and has nothing to do with her. He tells her that Yanai and the others are waiting and she should go back. He walks away then. She starts running after him and calls Hikaru, he turns around asks what is it and she tells him that she doesn’t regret getting into the bus that time, that day even if she hadn’t gotten into the bus, somewhere else, she thinks she would surely have gotten lost. That getting into the wrong bus over and over again, she understood one thing that she likes him and she loves him and she has always wanted to know more about him, but not anymore, she tells him to take care and that she believes in him and she will be waiting and then says see you later. She gives him a hug and then walks back. She thinks that even if it is a fragment, it’s fine because one day it will be the piece that will light up his future. Hikaru starts walking away in his direction. So this was the final episode and I am sad that it is over now! This episode made me a little bit emotional when Hiro opened the letter from Haruka and started crying. It seemed like finally I understood who Haruka was and that now I felt like I was able to grieve with Hiro because I knew who she was and how important she was to him and the others. One thing that slightly confused me was why Hikaru had found Maruo and needed him to find Hiro? Maybe he just wanted Hiro to deal with his past and show Hiro that he doesn’t need to punish himself anymore over hitting Maruo? The ending was slightly disappointing because Hikaru and Mizuho didn’t end up together but at the same time it seemed to fit the drama. Mizuho got the courage to tell Hikaru that she loved him and that she will wait for him but I think she realized that the only thing she can do for him is to be honest with her feelings. She can’t force him to be honest with his own feelings and that is a step that he has to take himself but that she will be ready for him when he is. I found their bus analogy really interesting that she doesn’t really want to follow the path she is supposed to take but she is going to make her own by taking the wrong bus. Poor Remi she thought she loved Kouji but she was taken advantage by him and then thrown away which is sad that she basically did the same to Haruka. I mean Haruka gave her permission to do that to her but I think deep down Haruka would have rather had Remi be her friend. I really admired Mizuho as a character!! she is strong and tried to develop her character and become a better person. I really admired her because she loved Hikaru but she didn’t sleep with him even though it would have been really easy for her to do that. She wanted more from him and even if she loses him for some time I think she knows that he will come back to her. One thing that bothered me was that Hikaru, Hiro and Maruo never talk altogether and get it worked out!! I mean I think it would have been good for all of them to really discuss it so they could move forward in life. This was an awesome drama!! I really enjoyed the mystery and intrigue of it all. I found it refreshing because it wasn’t a typical love story! it had those elements in it but the story overall offered something deeper and more intriguing!! I really enjoy psychological elements in my story and this had a lot of introspective moments, which I loved. I would recommend this drama to anyone who loves mystery first of all and needs a break from the typical romance story.